1) Why is my newborn sneezing? Does the baby have a cold? A: It is normal for newborns to sneeze. It is unlikely a few day old baby has a cold because it takes a few days for symptoms to develop after exposure to a cold virus. 2) I don’t want to spoil my baby by holding her all the time. A: Newborns need to be held to feel safe and secure. It is common in many cultures to believe that holding an infant will spoil them into wanting to be held all the time. It is too late. The baby has been “held” for nine months in the womb and at this age you can’t train them otherwise. So go cuddle your baby. 3) Why do I have to breastfeed every two or three hours? A: Breast milk production is like building muscle. Just as your muscles develop with exercise, frequent regular breast feeding is one of the best ways to increase milk production. Our bodies always seek to conserve energy so without regular demand to make milk your body will put less energy into making milk and your supply will decline. 4) Why does my newborn hiccup? A: Hiccups are related to feeding too fast and are generally not a concern. 5) I am worried that my baby is cold. How many layers do they need? A: Dress the baby with one more layer than what you are wearing. Over dressing could cause the temperature to go too high. Underdressing could make the baby too cold. 6) When can I give my baby water? A: Your baby gets plenty of fluid from milk. Too much water at a young age can make the newborn sick. Wait to give the baby water until around six months of age which is also when you will start giving the baby solids. 7) What do I do with the umbilical stump? Does it hurt the baby when I touch it? A: It doesn’t hurt the baby to touch the umbilical stump. As a rule I would leave it alone and let it dry out. Rather than a bath, use a washcloth to clean the baby for the first few weeks. It will fall off, on average, when the baby is ten days old. 8) When will the baby sleep more? A: Baby will continue the same sleep patterns they had in the womb. Imagine that the newborn is jet lagged and they are not yet accustomed to post birth time zone. Many parents will find that their newborn are particularly fussy in the late evening to the early morning (ie. 10 PM- 2 AM) and much more sleepy in the early morning (i.e. 4 AM). Why? While pregnant, many moms were busy in the morning and all that activity rocked their baby to sleep. At night when the mom was asleep, the baby noticed the inactivity and so was more active moving and kicking in the womb. There are those rare angels who sleep through the night the first few weeks of life. But for the rest of us, you can expect multiple wakings in the middle of the night for the coming months. 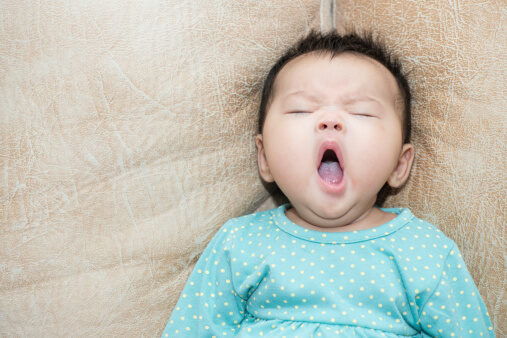 If you would like to sleep train your infant to sleep through the night, training is typically initiated around 4 months of age. Always remember, the safest position for your sleeping baby is on her back. Ricky Y. Choi, MD, MPH is the Department Head of Pediatrics at Asian Health Services Community Health Center in Oakland, CA. 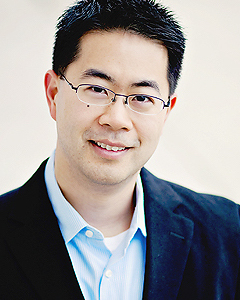 He also provides primary care for those patients who speak any of ten different Asian languages and is a Co-Founder of HealthBegins, a nonprofit think-and-do tank that demonstrates how smart medicine starts upstream.